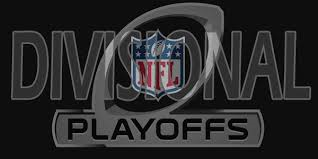 Well it’s almost time for another round of NFL Playoffs and a weekend that should leave us in a pool of excitement. The level of talent left in these 4 games should live up to their reputation and should not disappoint. If playing against some stiff competition wasn’t enough, Mother Nature has voiced her displeasure for the NFL Playoffs by sticking all 4 games into a pattern of frigid temperatures and bone-crushing wind chills cold enough to make an Eskimo shiver. This weekend is definitely going to separate the men from the boys, helping the crowd bring back the forever loved Pedro Martinez chants of, “Who’s your Daddy.” Below is my attempt to preview and pick the winners for all four games. • Forsett has been slowing down in the 2nd half of the season and was held to only 36 yards last week. Patriots allowed 104.3 rushing yards a game, but only 6 TD’s during the regular season. • Julian Edelman has made Wes Welker an afterthought in the slot. 92 catches this year, 105 last years. Enough said! • There will be so much trash being thrown around on the field by Revis and Smith that New England had to make Sunday a collection day this week. It’s Superman versus the Legion of Boom. Unfortunately, in this fairy tale, the Seattle Seahawks are Cam Newton’s kryptonite. Did the Panthers start the season off well? No. Did they perform well down the stretch? Yes they did. However, if the Panthers thought the Cardinals defense was a tough nut to crack, they’ll be in for a rude awakening here in the divisional round when they head to Seattle to play against the defending Super Bowl Champions. The Seattle defense has kicked their engine into 4 wheel drive and has been crushing any terrain that gets in their way. Richard Sherman is showing why he was on the Madden cover and why he is the best cornerback in the game. I have to be honest; I have as much confidence in Carolina putting up a fight in this game as I have in Barak Obama turning our country around. Here are a few tidbits from this game below. • Seahawks conceded an average of just 153 passing yards per game, but did give 11 TD’s to opposing TE’s which was 3rd most in the league. • Marshawn Lynch has touched the ball over 1,300 times over the past 4 seasons…He has been banged up a little bit this year, but this is the playoffs and the beast is about to be unleashed. • Clay Matthews has led the run stopping surge since he took over the Middle. • C.J. Anderson has 80+ rushing yards six times and scored a total of 10 touchdowns over the last 6 games. • Peyton Manning looks slow and out of sync… In his last four games, Manning has thrown twice as many interceptions as touchdowns while dealing with injuries and illness. Come follow me on Facebook at https://www.facebook.com/extremesportsaddicts23 or on Twitter @TCutillo23 for breaking news, stats, comical stories, and weekly projections. Also tune into Spice Sports on spiceradio1200am.com @9:30 pm (est) every Friday night to hear my Weekly Fantasy Sports/ Sports Review Segment for all picks for the week and some interesting analysis from a great group of Knowledgeable Sports Enthusiasts.